Are you coming to Kraków and wondering where to eat pierogi? Or you’re a foodie looking for the best food experiences? Or maybe an expat trying to find the best restaurant for a date? In any case, you’ve just found the best culinary guide in town! Forget TripAdvisor – it has nothing to do with the culinary scene in this city. I’ve been writing restaurants reviews since 2011 and with this page I want to help you discover the best that my beloved Kraków has to offer in terms of restaurants, cafés, street food, desserts and even vodka! Enjoy and please – let me know in the comments or via e-mail if you liked it or if something is missing! Most of the places in the below list are located either near the Main Square or in Kazimierz, so they are easily reachable on foot. In case a place is more far away, I’ll let you know. I try to keep the list up to date, also expect it to grow over time. All the reviews I’m linking to (under the restaurants' names) are in Polish, you can try Google Translate but the short description in English next to each one of the suggestions should be enough for you to make a decision (you can click on the link to the review, you’ll be able to see the photos). You can follow me on Instagram, which is in English. Pod Nosem (Kanonicza 22, www) – a very elegant interior with intriguing tapestries, very short and seasonal menu based on local ingredients, perfect service and fantastic Polish cuisine by chef Przemysław Bilski. In the summer you can enjoy all of this while sitting outside on one of the most charming streets of the Old Town and looking at the Wawel Castle. Ed Red (Sławkowska 3, www) – offers amazing dry-aged Polish beef (limousine breed). 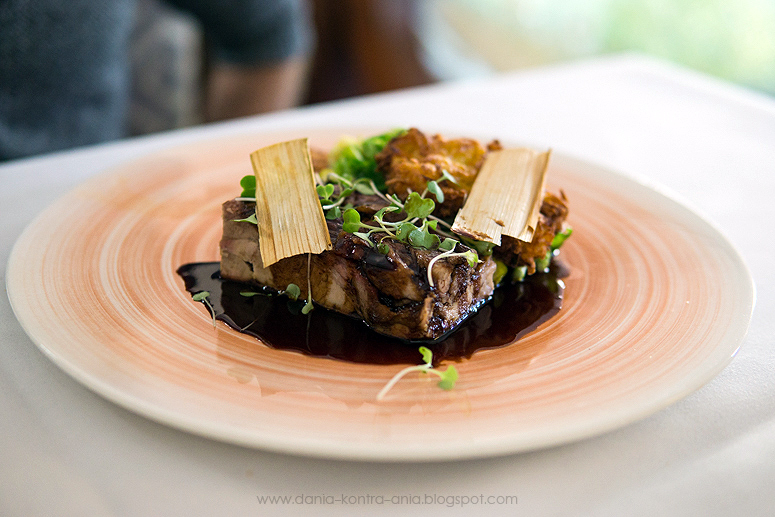 A T-bone and veal offal appetizer (liver, sweetbread, tongue, cheeks, cerebellum) are a must. But it’s not only a steakhouse – in the menu you can find a variety of interesting seasonal dishes based on Polish products. Miodova (Szeroka 3, www) – located in the Jewish District (Kazimierz) Miodova boasts with a beautiful, modern interior and great menu including crayfish bisque inspired by a traditional recipe from 1897, handmade pierogi, deer ossobuco or stewed pheasant leg and many more. Chef: Mateusz Turaj. 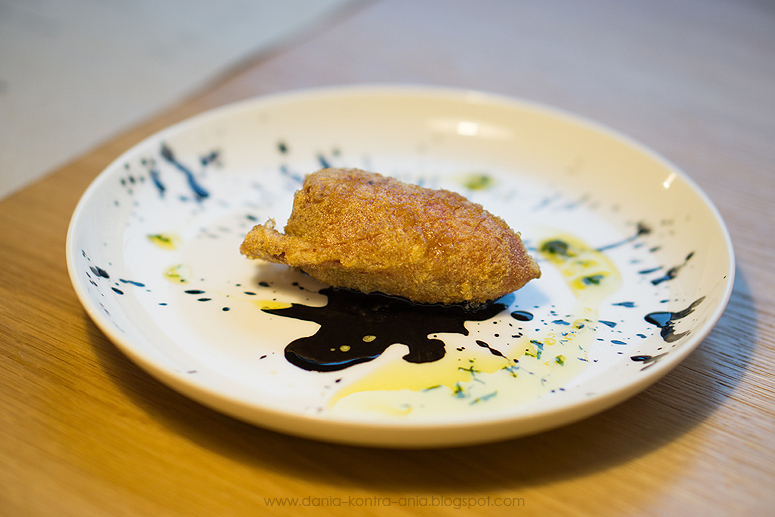 Biała Róża (Straszewskiego 16, www) – even though the service is not perfect here, the delicious food by young chef Łukasz Cichy is definitely worth a visit. High quality local ingredients, dishes based on old recipe books, Polish wine on the menu and the proximity of the Wawel Castle should be enough to convince you. Morskie Oko (Plac Szczepański 8, www) – relatively good and inexpensive traditional Polish food. Rather informal place with vast underground rooms resembling a traditional mountain hut somewhere in Zakopane. For those looking for a bit of folklore in the middle of Kraków, this is a nice option. You can also listen to live music and try some regional vodkas. Tourists love this place. Karakter (Brzozowa 17, www) – one of the most important openings of 2016. I go back there often and am never disappointed. Courageous, incredibly original menu, cool interior, good wine and a very attractive 3-course lunch menu. Meat lovers will be in heaven. Chef: Daniel Myśliwiec. Zazie Bistro (Józefa 34, www) – by many considered the best restaurant in Kraków, Zazie is a very informal small bistro with really great French-inspired food at a fantastic price. It’s always full, so make sure you book a table in advance. Bistro 11 (Rakowicka 11, www) – within a short walk distance from the Main Station you can find a tiny but cosy bistro with modern design, an open kitchen and creative seasonal menu. I suppose that due to its location not many tourists visit Bistro 11 but it’s one of my favourite informal places in Kraków! Alchemia od Kuchni (Estery 5, www) – again, just a couple of tables, modern and minimalistic interior design, a very laid-back waiters and inexpensive but quite interesting international dishes. It’s great for breakfast too. Hamsa (Szeroka 2, www) – somebody had an idea of opening a modern Israeli restaurant among all these Jewish restaurants in Kazimierz – and that idea was just great! It’s a very popular place among young people in Kraków; beautifully designed, with contemporary Israeli music in the speakers and great menu, including many vegetarian options. Zenit (Miodowa 19, www) – it was open relatively recently but quickly gained popularity thanks to a very nicely designed interior, short but interesting menu with a lot of vegetarian, vegan and gluten-free options as well as with excellent choice of good quality local products. Barka (Podgórska 16, www) – after taking a walk to Podgórze and hanging your love padlock on Kładka Ojca Bernatka, Barka, one of the barges stationed on the Vistula River, is a nicely designed and pleasant place to relax, to have a drink or a meal with friends, either inside or on the deck with a great view at Podgórze and the bridge. Aqua e Vino (Wiślna 5, www) – right in the heart of Kraków, an underground (and difficult to notice from the street) great Italian restaurant run by Italians. There’s no pizza on the menu and this should already tell you something. The prices are rather high but everything I’ve tasted so far was worth it. You must try moscardini and pear and ricotta ravioli. Del Papa (św. Tomasza 6, www) – for years this has been one of the best Italian restaurants in the city, very consistently maintaining high level of food and service. In the summer, there’s a pleasant hidden patio. Try pasta al nero di seppia with baby octopus and crema di limone for dessert. Make sure you book on weekends. Pizza Napoletana Vincenzo Pedone (Borsucza 12, www) – Vincenzo's Neapolitan pizza is my favourite pizza ever! And it's always excellent. It's located far from the city center and in a rather unattractive neighbourhood but if you ever – somehow – happen to be near Borsucza street, do pay Vincenzo a visit, you'll not regret it. Pizza Garden (Konopnickiej 11, www) – this is a real hidden gem. I haven’t eaten such a good pizza even in Italy. The place is small, near a noisy street and off the tourist trail, but the pizza is outstanding. Very often there’s a long queue for a free table (no bookings) but in the summer you can just grab the pizza and eat it at a river bank with the view at the Wawel Castle. 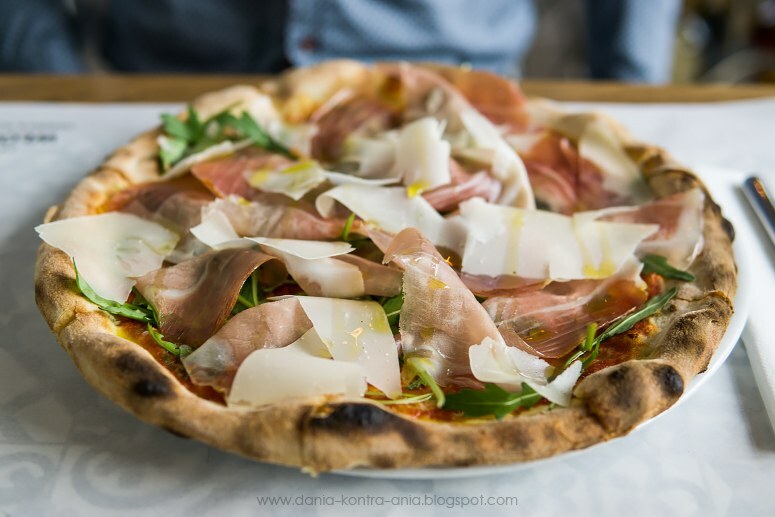 Nolio (Krakowska 27, www) – a real Neapolitan pizza in the heart of Kazimierz district. Interesting interior and excellent certified products imported directly from Italy such as San Marzano tomatoes or mozzarella di bufala D.O.P. En Plato (Warszawska 170a, www) – just as at Pizza Garden (see above), the quality of the original Italian ingredients are the secret of this delicious pizza. It’s actually located outside of Kraków but those who have a car shouldn’t have an excuse not to try it (make sure you order the speciality – margherita with San Marzano tomatoes DOP and Mozzarella di Bufala DOP, and a pistacchio tiramisu for dessert). Piec na Zabłociu (ul. Ślusarska 3, www) – very tasty Neapolitan pizza made by an Italian pizzaiolo in Zabłocie neighbourhood. Good idea to drop by before or after visiting some museums nearby such as MOCAK or The Schindler's Factory. Włoska (ul. Sukiennicza 8, www) – located a few steps from the Wawel Castle, Włoska is a beautiful restaurant with great menu and products, and it happens to serve a fantastic pizza as well. Go for the classic Crudo or choose whichever one – it'll always be delicate and perfectly crispy at the same time! Zen Sushi Bar (św. Tomasza 29, www) – a rather formal and expensive, but very stylish and elegant, Zen offers good quality sushi prepared by charismatic sushi masters. Even though some tables are available, make sure you book a chair at the bar with floating boats to get the best of your sushi experience. There’s warm Japanese cuisine on the menu too. Oh, and please try the famous chocolate cream cake! Yana Sushi (Zwierzyniecka 12 or Chmieleniec 2B, www) – this one is cheaper and way more informal compared to Zen. The interior is quite small and nothing special in terms of design, but sushi is prepared meticulously and is beautifully presented. Simply put: it’s good and reasonably priced. 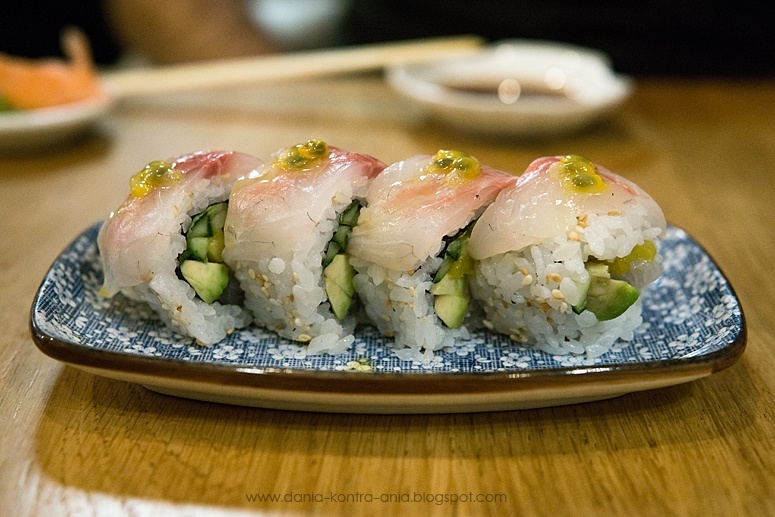 Youmiko Sushi (Józefa 2, www) – a cosy sushi bar in Kazimierz run by passionate people who like to use local fish and sesonal ingredients. Obligatory visit for all sushi lovers and a fantastic treat for vegans. Meat & Go (Dolnych Młynów 10, www) – two things from Meat & Go were featured on my list of the best dishes of 2016. This family-run business is a true paradise for those who love meat. I’d say it belongs to a different category of street food. It’s so good that it gives you those exciting emotions and pleasure that you can only experience in the best restaurants! Andrus Food Truck (św. 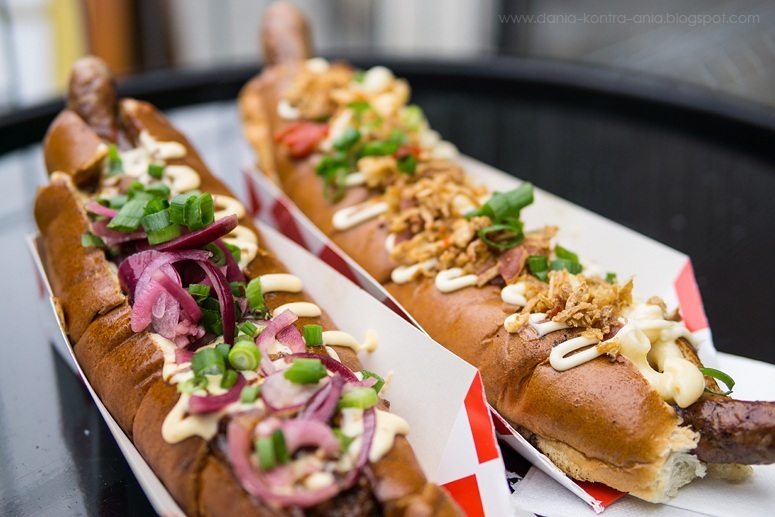 Wawrzyńca 16, www) – this is definitely the coolest and the most delicious street food you can (should!) have in Kraków. It’s called maczanka and is a Lesser Poland’s regional dish – it’s basically a warm bread roll filled with meat and sauce. Sounds like a burger? It’s better than that! Andrus prepares an amazing maczanka, sometimes in very creative versions. Streat Slow Food (Kupa 10, www) – this is one of the best burger places in Kraków. It’s a food truck so be prepared that one of their delicious homemade sauces will be all over your clothes but the taste compensates the sacrifice. Smiling service and great care for high quality products. A must eat! Sami Am Am (św. 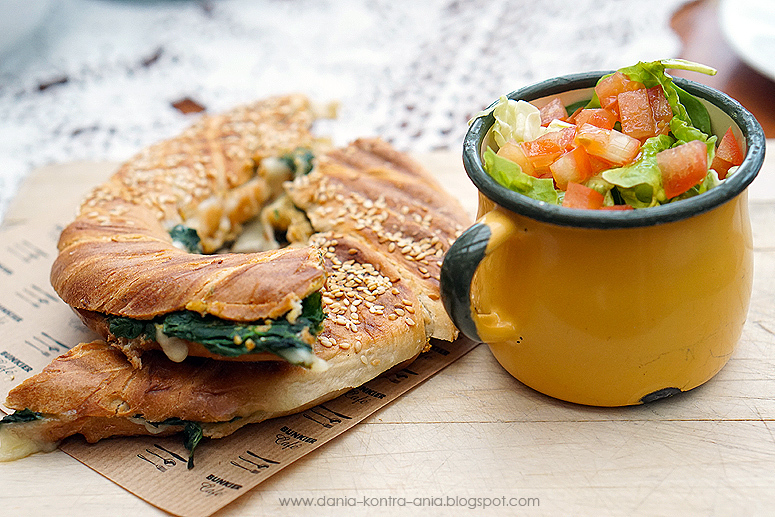 Wawrzyńca 27, www) – Syrian street food in the middle of Kazimierz. Try lamb kebab (probably the best in town), Syrian desserts and falafel to the sound of Arabic music videos on the TV. Studio Qulinarne (Gazowa 4, www) – I always recommend this place for a very special occasion, a date, a romantic dinner or a business lunch. It has one of the most gorgeous restaurant interiors in Kraków. Add to this a seasonal menu prepared by Italian chef Giacomo Monzali and an interesting wine selection and the evening cannot go wrong. Bottiglieria 1881 (Bocheńska 5 LU 1, www) – one of the smallest restaurants in Kraków – and one of the best. In this tiny wine place chef Paweł Kras serves fantastic seasonal fine dining dishes from a short and creative menu. The waiters are impeccable and passionate about wine. Reservation is recommended. Trzy Rybki (Szczepańska 5, www) – located in one of the most prestigious hotels in town – Hotel Stary – offers one of the most interesting fine dining experiences (also one of the most expensive ones). Beautiful renaissance interiors and a seasonal menu by chef Krzysztof Żurek full of Polish tradition and innovative touches plus a wide wine selection will make your romantic dinner unforgettable. ZaKładka (Józefińska 2, www) – it’s just a bistro but quite an elegant one. Prices are very reasonable and the quality is usually high. Apart from the best crème brûlée in town, chef Szymon Sierant offers great dishes based on French cuisine, but uses also some interesting original Polish ingredients. A nice place for a less formal date. 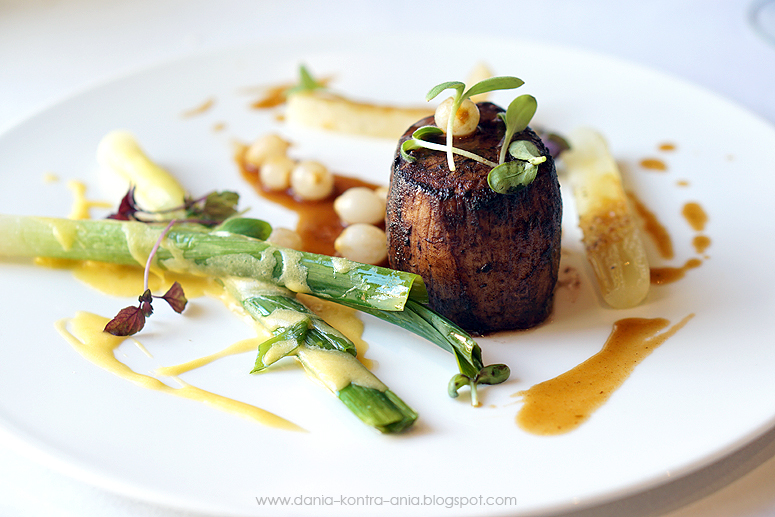 Albertina (Dominikańska 3, www) – a very elegant fine dining restaurant with interesting Polish and Mediterranean dishes. It has a lobster tank (not a very common thing in Kraków) with fresh lobsters and oysters as well as a wine dispenser. Chef: Grzegorz Fic. Pimiento Argentino Grill (Stolarska 13 or Józefa 26 or Rynek Główny 30, www) – meticulously designed interiors, one of the most charming restaurant summer gardens in Kraków (on Stolarska street) and fantastic menu, especially the part including Argentinian beef. Worth a visit. Zielona Kuchnia (Grabowskiego 8, www) – it’s a hidden gem – with a lovely, lovely garden, very creative menu based on high quality and healthy products, very nice service. You would never find it by chance, so make sure you write down the address. Akita Ramen (Węgłowa 4, www) – the 4 meat ramens by Akita have conquered the hearts of locals. Some may say the flavours are too "Polish" but nothing beats their perfectly braised chashu! 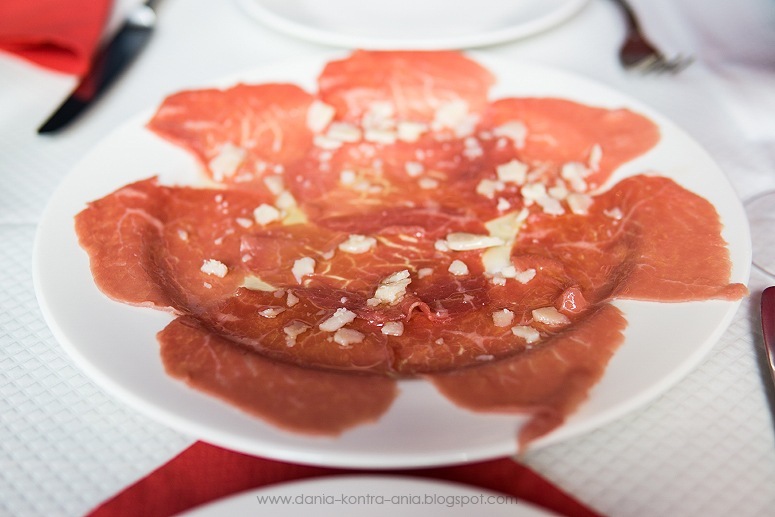 Euskadi (Kazimierza Brodzińskiego 4, www) – this cosy restaurant in Podgórze (a short walk across the river from Kazimierz) serves tapas made from fantastic fresh products. If you like Iberian pork or good seafood from Italy and Spain, this place is for you. Chef: Damian Surowiec. Tbilisuri (Meiselsa 5, www) – Zviad, who had had a food truck before, has opened a restaurant which became a success literally overnight. No wonder – people, me included, love Tbilisuri for its simple yet delicious Georgian food at great prices. What else do we need? 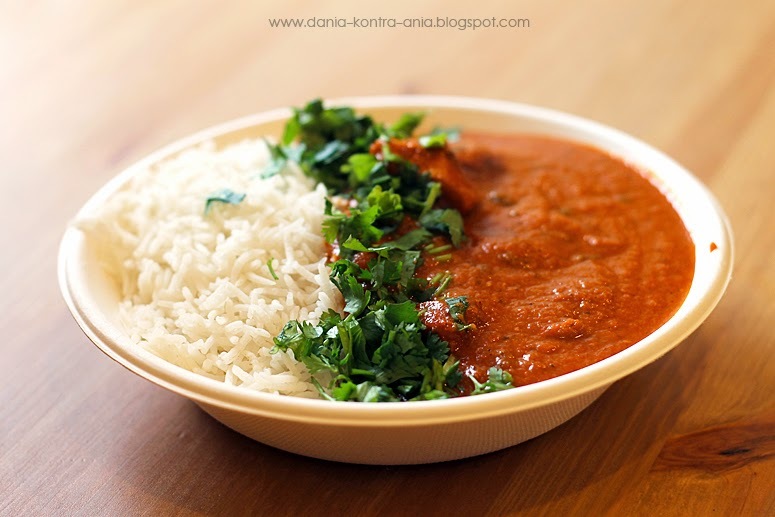 Taste of India (Dietla 46, www) – even though the interior is not attractive at all, Taste of India offers a selection of very tasty dishes from different parts of India. The staff is very friendly and engaged and it’s a very good value for money. Reservation recommended. Curry Up! (Krakowska 29, www) – a tiny place with just three or four tables, a short menu (always including vegetarian options) that changes every day and very nice staff cooking some decent Asian dishes. It’s great for take away or just a quick lunch. Oh, and try mango lassi, it’s delicious! Mandu (Ignacego Paderewskiego 4, www) – why have I discovered this place so late?! These traditional Korean steamed dumplings are just splendid there! 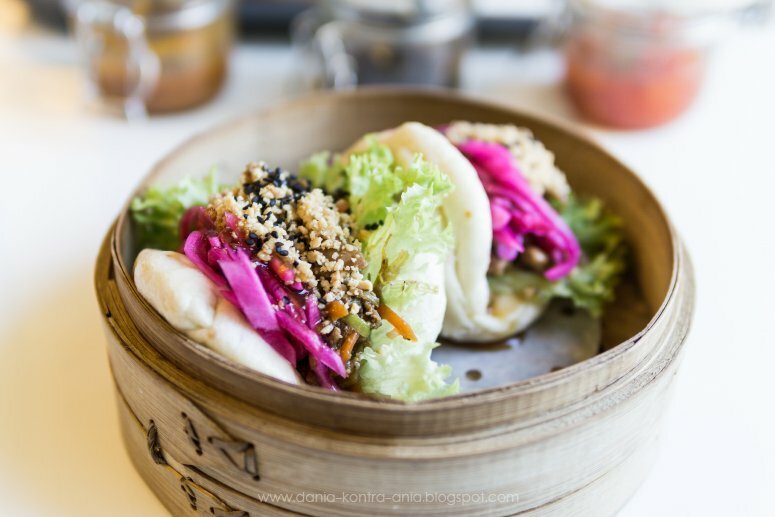 It's worth stopping by for fantastic bao buns in three different version, too (usually served on weekends only) – the best in town! Chez Nicholas (ul. Lwowska 1, www) – quite an extraordinary place in Kraków: French cuisine performed by a chef from... China. A modest, casual bistro with delicious stuff (the chef is passionate about food and quality) where you'll feel like at Nicholas's home. Seriously! Big Mango (Bronowicka 23 or Zwierzyniecka 8, www) – Big Mango first opened in Bronowice, a district far from the city center, and gained huge popularity. Now there’s also a small Thai bistro place on Zwierzyniecka. There are few real Thai restaurants in town, so for Thai cuisine lovers Big Mango is a place to go. Their pad thai is amazing! Poco Loco (Plac Nowy 3, www) – a casual place for both take-away and a nice evening with friends over a table full of delicious food (and, optionally, a couple of tequilla shots). Poco Loco pays a lot of attention to healthy and good quality ingredients while fantastic, natural and traditionally prepared tortillas are the base for most of their tasty dishes. Pod Norenami (Krupnicza 6, www) – it’s an Asian vegetarian restaurant by chef Paweł Albrzykowski with a nicely decorated interior and extensive menu which should be tempting also for every day meat eaters. Sushi, soups and desserts are especially recommendable. WieloPole 3 (Wielopole 3, www) – beautifully presented healthy vegan dishes at this underground restaurant can be surprisingly good even for a meat lover. At the same time it’s very affordable (though portions are a bit small so make sure you order a soup or a starter). Krowarzywa (Sławkowska 8, www) – simply put: fantastic vegan burgers. A perfect option for a cheap, healthy and quick meal near the Main Square. Karma (Krupnicza 12, www) – it’s a very famous place for vegetarian and vegan food lovers as well as… coffee lovers. It looks a bit hipster but the food is fresh and cooked with high quality ingredients. Karma also has some great breakfast options, delicious cakes and… did I mention coffee? Ka Udon Bar (ul. Rakowicka 14a, www) – an almost vegan restaurant (there's an optional egg on the menu). A fantastic homemade udon and probably the best tempura vegetables in town, add to it minimalistic design, beautiful ceramics from Lanckorona and positive energy. Everyone fell in love with Ka Udon Bar! 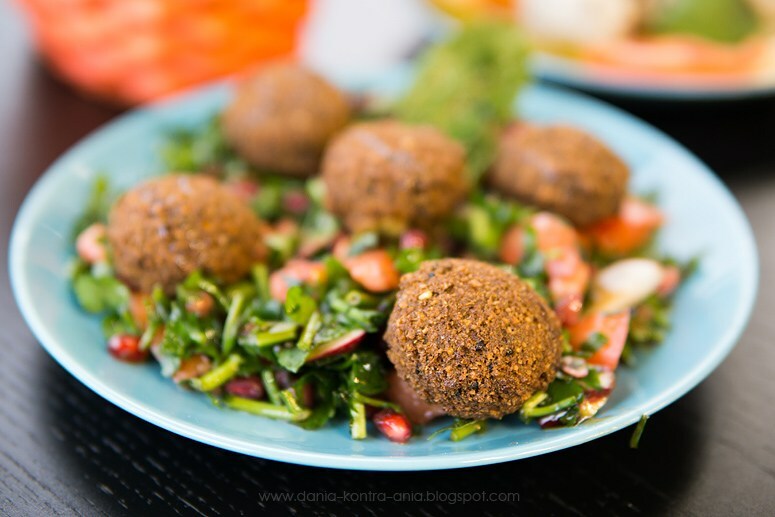 Mazaya Falafel (ul. Grzegórzecka 40, www) – in this inconspicuous place next to Rondo Grzegórzeckie Mazaya Falafel offers fantastic hummus and the best falafel in Kraków. Their food is colourful, tasty, filling and at a fair price. Those who like Middle Eastern food will be very much satisfied. Focha 42 (Focha 42, www) – a large bright space and a menu in which everyone will find something they like. Some dishes are better than others (e.g. seafood risotto is great!) but if you choose pizza, you won’t regret it. And for those who are looking for a kid-friendly restaurant, Focha is perfect for children as it offers a playground outside and a special play room inside. fajne zestawienie, pewnie bym coś dodał ale ok generalnie wszystkie miejsca zasługują na bycie w tym zestawieniu choć bardzo niesprawiedliwe jest promowanie w takim miejscu zapiekanek. Sami napompowaliśmy tą bańkę, odgrzewanych zmorożonych bułek produkowanych w podkrakowskiej firmie, kto wie czy nie jedna firma dla wszystkich. Sami promujemy tych leniów zamiast ich mobilizować do lepszego produktu. Podróżując po świecie można zobaczyć nawet w największych dziurach Boliwi czy Indii że street food jest przygotowany z prostych i świeżych składników. Tym bardziej że zapiekanka jest bardzo prostym produktem i wszystko jest dostępne przez rok. Tylko lenistwo i chęć szybiej i łatwej kasy powoduje że zapiekanki w okrąglaku to największa ściema Krakowskiej ulicy. Coś w tym jest, Kuba. :) Nie zmienia to faktu, że niemal każdy turysta przyjeżdżający do Krakowa chce ich spróbować. Gdy tylko w Krakowie pojawi się naprawdę dobre miejsce z wysokiej jakości zapiekankami, chętnie je tu podlinkuję. NH trochę daleko dla przyjezdnych. :) Mamy naprawdę dobre zapiekanki gdzieś w centrum? Thank you for your amazing work! There are so many restaurants in Krakow that it is really hard to choose sometimes and your blog is really helpful! Weźże Krafta nie polecam, 2 razy próbowałem podejść do niech, niestety albo piwo chrzczone ale przeterminowane, głowa dwa razy mnie bolała jakbym wypił morze whiskey. We're in Krakow right now (for a month) and will try some of these restaurants. If our experiences are good we'll link it when writing about the city. Always love when restaurant guides are written by locals!